Skirts look so hot. They are the trendiest attire of the season but not every woman dares to go for them. Some of them just don’t try and some are just tired of finding skirts that fit but don’t really suit them. Are you also tired to find skirts that don’t fit you? Chances are you might be neglecting one of the most important factors – your body size. The key to a flattering silhouette is dressing specifically for your body type. Skirts that look great on the runway might just look shabby on you if they don’t compliment your body. When you know your body shape, you can play with textures, prints, and palettes to enhance your assets, rather than conceal them. Minimalist fashion faux pas and augment your looks by embracing styles that celebrate your body. If you have a slim lower body and tend to carry your weight around the midriff region, then your body shape is like an apple. 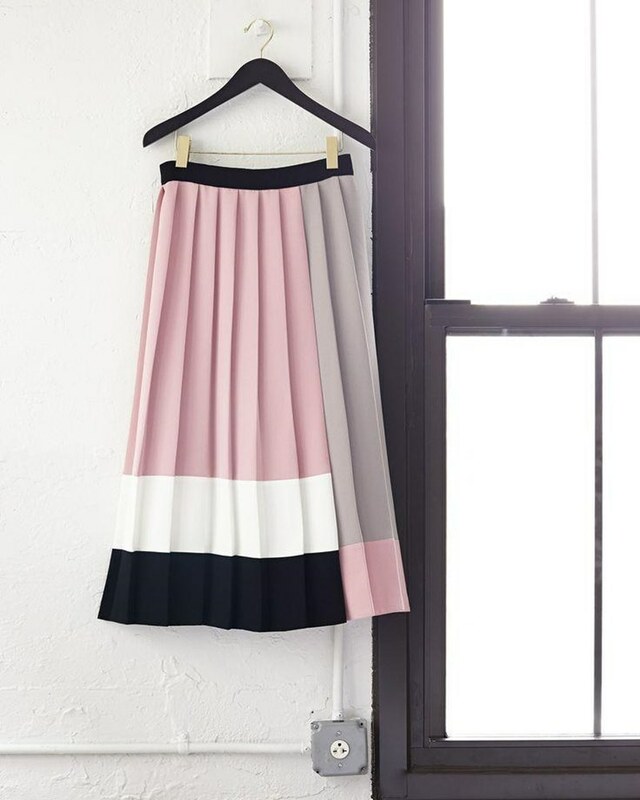 Try a to pick a pleated skirt in pastel shades or cool hues. Its wide hemline will help balance out your hips and the short length will help show off your slender legs. You can also opt for high waisted flouncy skirts that will help camouflage your belly. The structured silhouettes of such skirts often lend a preppy vibe to your look. Pockets and side stitches will add some character to your skirt while perfectly complementing your outfit. Choosing trendy and the unconventional asymmetrical cuts will enhance your height and the slenderness of your frame. If your hips are the widest part of your body, then you have a pear body shape. A-line midi and maxi skirts will work wonders for you. These skirts will enhance your waistline while flaring out over your hips. You can pick a skirt with stripes or checkered prints to liven up your look. You can even pick a skirt that has a sheer panel and shows off your legs in style. Tuck in your top or wear a crop top to show off your midriff and be the center of attention wherever you go. If you have a rectangular body type, your waist, hips, and shoulders will all be about the same width. Your slender lower body will allow you to experiment with a more streamlined look. Bodycon miniskirts, for example, will look fantastic on you. A form-fitting skirt will accentuate your curves and give you a racy edge. Opt for skirts with patterns or embellishments as they will also enhance your curves. You can also pick a skirt that has an uneven hem as it will draw attention to your legs and enhance their length. Do your squared off shoulders command attention, while your thin hips steal the limelight? Flared skirts will help you balance out your shoulder width. Maxi or midi skirts with thigh-high slits can also help highlight your assets. Details that add volume to your lower body will add some oomph to your look. Draw attention to your waist with wide belts in earthy and vibrant hues to complement your skirt. Avoid high-waisted skirts as they will make you look shorter. Also, be sure to steer clear of pencil skirts or other body-hugging silhouettes. If you are curvy and have a well-defined waist, then you have an hourglass figure. Pencil skirts look fabulous on you, and a straight-cut pencil skirt will only enhance your curves. The waist of this type of skirt will draw attention to your tiny midriff. If you like dramatic looks, you can opt for skirts made from lace. Peplum skirts and tops will also help you accentuate your envious waistline. You can experiment with animal and Aztec prints to add a touch of excitement to a staid office look. With a wide range of long skirts available in the world of online shopping, making a choice becomes difficult. However, if you know your body type, you can easily pick a skirt that gets a chance to hug your body. Choose carefully. Even I haven’t been a skirt person but I have started trying some new things and that’s where this post came from. Start trying. You will love yourself for it.